I found this scripture very encouraging this week. Habakkuk would have been one of those people who always had a hop in his step and a half full type of personality... in my opinion. Habakkuk was wise in this moment as he had pure joy even when the Babylonians invaded- he understood that he could lose it all but would still find joy in the Lord. 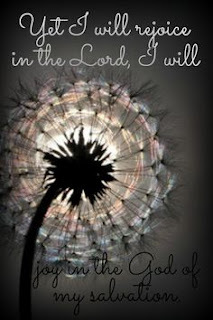 "Yet I will rejoice in the Lord! I will be joyful in the God of my salvation." What a lesson we all could hear as we are putting our fancy Christmas trees and expensive gifts. Don't allow these things to distant you from praising and rejoicing our giver of true gifts- Jesus! It seems that many people think they need the next best thing to find joy- they are chasing material items that leave them unsatisfied. 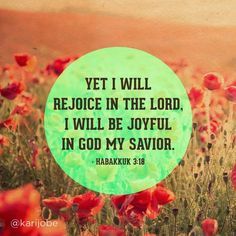 Habakkuk shows us that no matter we should focus on getting our Joy from God and when we praise and rejoice him even through the tough stuff we can be joyful in knowing our salvation is secure. 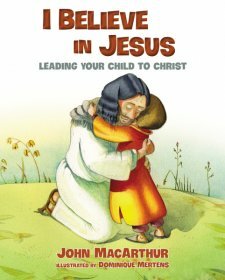 God, help me teach my children that yes we can have fun with running, jumping, spinning, and singing to Jesus! We can REJOICE in the good things he gives us but to not solely find joy in material things but on heavenly things. 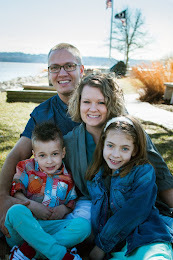 Help me model the joy of praising my SAVIOR!